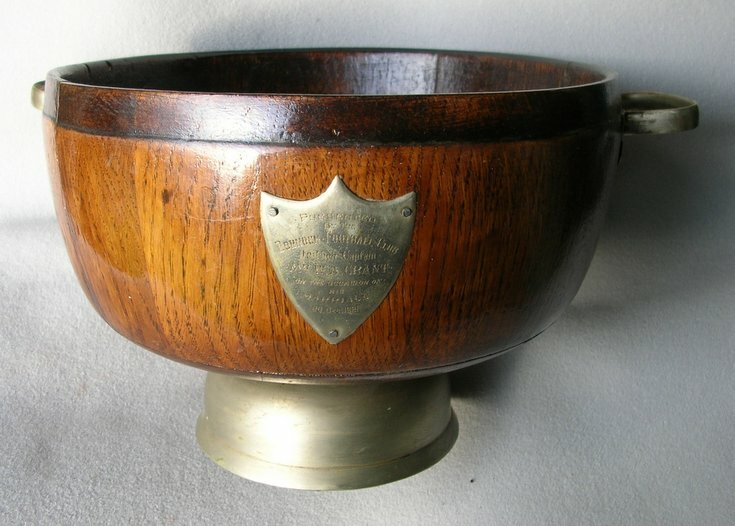 Dornoch Historylinks Image Library - Wooden bowl with inscribed shield. Wooden bowl with inscribed shield. My father found a very similar bowl while sorting out his treasures, we cannot read the insription on the shield and it looks like there could have been more shields around the bowl. We would love to know its history?